We at Dreven Holdings Group Inc. (“Company”, “we” or “us”) welcome you to the BuyBackWorld.com website (“Website” or “BuyBackWorld”). The Website provides a service by which you (the “User”) offer to sell your used electronics (hereinafter collectively referred to as “the Services”). In order to use the Services, you must agree to BuyBackWorld’s Terms and Conditions (“Agreement”) before you may access and / or use the Website and/or Services. Please read the Agreement carefully. By accessing and using the Website, you represent and warrant that you are more than thirteen (13) years of age and that, if you are under eighteen (18) years of age, your parent or legal guardian who is at least eighteen (18) years of age has agreed to be bound with you by this Agreement. Otherwise, you represent and warrant that you are at least eighteen (18) years of age and that you have the right, authority and capacity to agree to this Agreement and to abide by all of its terms and conditions. About The Site Terms:The Site Terms have the same effect as an agreement in writing and govern your use of the Website. If you do not agree to the Site Terms, please do not use the Website. We may modify the Site Terms at any time. If you do not agree to the changes, you may discontinue using BuyBackWorld before the changes take effect. Your continued use of BuyBackWorld after any such changes take effect constitutes your acceptance to such changes. Each time you visit or log into the Website, you reaffirm your acceptance of the Site Terms. You are responsible for regularly reviewing the Site Terms, by clicking on the "Legal" link on the bottom of www.BuyBackWorld.com. The Site Terms may be supplemented by additional terms and conditions applicable to privacy, specific areas of this Website, or to particular content or transactions are posted in particular areas of the site and, together with these Site Terms, govern your use of those areas, content, or transactions. Username and Password:You will be asked during the registration process to provide a unique username and password. We reserve the right to refuse to grant you any username, in our sole discretion, if the username that you choose is invalid. Invalid usernames include, but are not limited to, usernames that are vulgar or offensive; usernames that attempt to impersonate another individual or company; or usernames which violate trademark law, which may cause confusion or which violate any other proprietary rights of any company or individual. You agree that you are solely responsible for any and all activities that are conducted using your account. Please keep your username and password confidential. You agree that you will not transfer, resell or allow any other third party to use your username and password to access the Website. If you have reason to believe that your username and / or password have become compromised, you agree to immediately notify BuyBackWorld of such event by emailing BuyBackWorld at [email protected] For security reasons, BuyBackWorld will not release username or password information for any reason, other than to the applicable user, except as may be specifically required by law or court order. Right to Refuse Service:The Services are not available to temporarily or indefinitely suspended Users. We reserve the right, in our sole discretion, to terminate unconfirmed or inactive accounts. BuyBackWorld also reserves the right to refuse use of the Website or Service to anyone, for any reason, at any time, at our sole discretion. You agree to use the Services and Website in a manner that conforms to any and all applicable international, federal, state and local laws and regulations. How Our Service Works:You visit the site and search for the item / or items that you intend to sell. Next, you fill out the item form which asks questions about the item and its condition. Upon receipt of that information, the Site will display a price quote indicating the amount of money that we will pay for the item you have described in the item form. The price quote is valid for thirty (30) calendar days from the date that the price quote is issued. Accuracy of Information:We make all efforts to ensure that the information presented on the Site or in other communications including, but not limited to, price quotes is accurate. In the event of any typographical errors, technical inaccuracies, pricing errors or omissions, we reserve the right to correct the error. If we correct an error that will have a material effect on our price quote to you, you will have two (2) options: (1) to continue with the transaction based on the corrected information; or (2) to cancel your transaction, in which case we will promptly return your item to you. 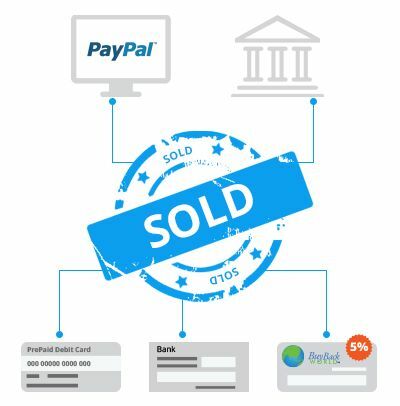 Accepting the Offer:If you choose to accept the offer to buy at that quoted price from BuyBackWorld, you then create an account and complete the checkout process. The Site will then send you an email containing a prepaid United States Postal Service (“USPS”) shipping label. Please make sure that your email system is set to receive emails from BuyBackWorld.com. Product Eligibility:BuyBackWorld determines, in its sole discretion, which Products are eligible for purchase by or through the BuyBackWorld Services and for which eligible Products BuyBackWorld will provide an offer. BuyBackWorld may terminate the eligibility of certain Products at any time and without advanced notice, but such termination will not affect any Products for which you have already accepted an offer, which is good for thirty (30) days. 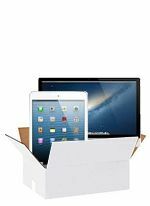 Shipping the Item:Once you have received the shipping label, you pack the item carefully in either your own shipping carton or use the shipping kit we will provide you and ship it from a U.S. Post Office. We prepay the shipping costs when you use our prepaid label. However, if you wish to fully insure your package, insurance must be purchased by you at your sole expense. If you choose to use any other shipping service or carrier, you must do so at your own expense. Risk of Loss/Passing of Title:You assume all risk of loss or damage in transit until the item is received by us at our processing center. 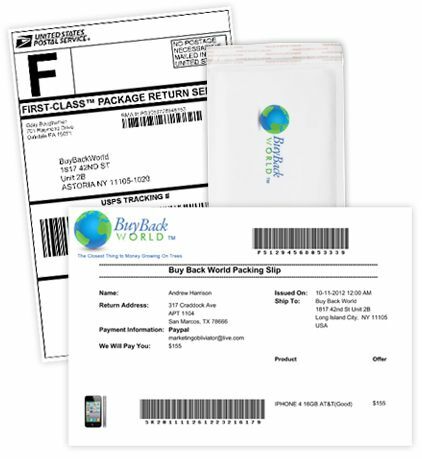 Title to the item does not pass to BuyBackWorld until the item is received and inspected at our processing center. If your item is rejected (due to damage or other issues that were not disclosed in your item form), title to the item will remain with you and the item will be returned to you. Risk of Loss (detail):In the event that you reject the revised offer, your item will be sent back to you via USPS First Class mail, USPS Priority Mail or FedEx Ground. A tracking number will be provided to you once your item is shipped back to you. If you do not receive a Return Tracking Number, please contact [email protected] and request one. You remain responsible for the risk-of-loss of any and all Products until delivery of the same to BuyBackWorld. You are responsible for any damages that may occur to your Product while in transit. BuyBackWorld is responsible for the risk-of-loss when it opens the packaging containing your Product and ceases in the event BuyBackWorld returns your Product to you for any reason. For avoidance of doubt, in such event, risk-of-loss will be transferred to you once BuyBackWorld delivers the package to the carrier for return to you and you will bear the risk-of-loss in transit. All items which are returned and show a delivery confirmation via the carrier's tracking # are considered final and you bear the risk-of-loss for items which are taken from your property. Returned items will not be shipped with signature confirmation or with insurance. Passing of Title (detail):Title of the Products passes to BuyBackWorld upon BuyBackWorld's receipt and acceptance of the Product for the original quote or the revised offer, as applicable. If there is any Return Circumstance, title shall not pass to BuyBackWorld and remain with you. Inspection of the Item:Your Product must be received by BuyBackWorld within thirty (30) days after you complete a checkout on our site and accept the original offer provided by BuyBackWorld. 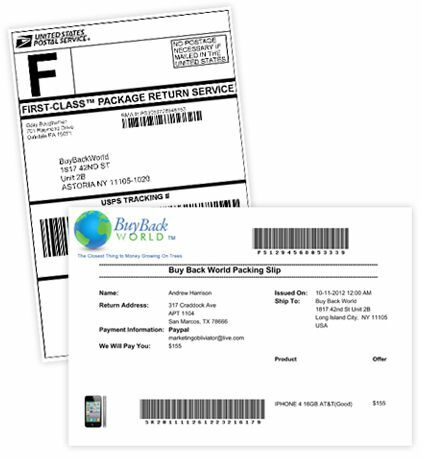 Packing and shipping recommendations provided to you by BuyBackWorld should be followed to avoid possible damage to or loss of the Product in transit. BuyBackWorld will inspect all Products that are received. Once we receive the item, our team inspects it to make sure it arrives in the condition stated in your item form. We then notify you that we have received your item and that it has been inspected. 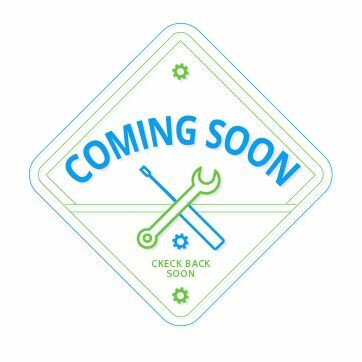 If it arrives in the condition stated, you will receive an email confirming this and we will issue payment in the amount of the price quote (by check or Paypal®). If the item does not arrive in the condition stated in your item form, we will inform you of this via email and either cancel our offer and ship the item back to you at the address of record on the account or make a lower offer based on the condition it was received in. The item must include all the materials you stated came with your item (i.e., chargers, adapters, accessories, software, etc.). Failure to include these pieces of your item will lower your quote and lead to recalculation if they are required for that particular trade-in. PLEASE NOTE: For iPhones we do not require any accessories to be sent in unless the device is Brand NEW in a sealed box. Return Circumstance:In the event that BuyBackWorld sends you a revised offer for your Product after it has been received and inspected, as described above, you shall have the option to either accept or reject the revised offer. If you accept the revised offer, you will be paid in a normal course and in accordance with these Service Terms. If you reject the revised offer, BuyBackWorld will return the Product to you at the address of record on your account. PLEASE NOTE: Prohibited Items as outlined below will not be eligible for return and any device reported to be either “stolen” or counterfeit will not be returned. You will have the opportunity to accept or reject our revised offer for up to five (5) days (the “Revised Offer Period”). BuyBackWorld will also remind you of the revised offer one or more times during the Revised Offer Period. If you do not respond within five (5) days, we will infer your acceptance of our revised offer and automatically process the item at the price quote adjusted by us to reflect the appropriate condition and you will be paid the revised offer price in the normal course and in accordance with these Service Terms. For the avoidance of any and all doubt, your acceptance of the original offer and/or any revised offer is final and you will not be able to change your mind later about accepting such offer. Releasing Rights to Product:Once you send BuyBackWorld your Product, BuyBackWorld cannot and does not guarantee that it will be able to honor any request for return of the Product and/or any data or information contained in such Product. Of course, if BuyBackWorld rejects the Product or you do not accept any revised offer for the Product ("Return Circumstances"), your Product will be returned to you. Poor/Broken – The item does not function properly or has significant physical damage, including cracks, broken displays, missing parts, or personalization etc. A bad ESN is also considered to be in “Poor/Broken” condition. Average – The item functions as it should but there is evidence of normal use, such as deep scratches and dents. There are no missing buttons or cracks. The item must have a clean ESN if a cellular enable device. Excellent – The item functions as it should but there is evidence of very light wear, such as very minor scratches or scuffs. There are no cracks or missing buttons. The item must have a clean ESN if a cellular enable device. New – The item must be SEALED and has never been used. 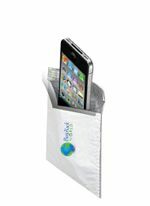 The device is the equivalent of buying one directly from a retail store. Even if the device has never been used, but the box has been opened, it will not be considered to be in “New” condition. 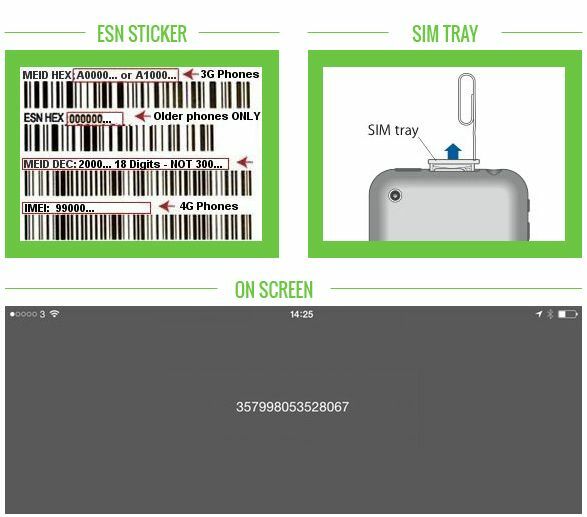 The item must have a clean ESN if a cellular enable device. Data Removal:We work very hard to maintain the highest standards of data security. We will make our best efforts to remove personal data from the devices we receive, but we cannot provide any guarantee. It is highly recommended that you remove any and all data from your item before sending the item to us. By sending your items to us, you agree to release us from any potential claim or liability as to the items and as to the data stored on the items. We are not responsible for any loss suffered by you as a result of data that is not erased from your device and is obtained by a third party. Limited, Non-Exclusive License:You are granted a non-exclusive, non-transferable, limited license to access and use the Services and Website in accordance with the Agreement (“License”). This License may be revoked at any time at the sole discretion of BuyBackWorld. The License permits you to access and use the Services and Website for your own personal use. No part of the Website and / or Services may be reproduced in any form or incorporated into any information retrieval system, electronic or mechanical. The License specifically prohibits you from copying, emulating, renting, leasing, decompiling, transferring, disassembling, cloning, attempting to discover the source code for or reverse engineering the Website, Services or any portion thereof. In addition, your license specifically prohibits you from using any software, device or routine to interfere with the normal or proper working order of the Website or Services. You may not engage in any action which creates an unreasonably large load on BuyBackWorld’s infrastructure. Unauthorized access to the Website and / or Services breaches this Agreement and is a violation of applicable law. Proprietary Rights:All of the content, organization, graphics, design, compilation, magnetic translation, digital conversion, software, services, computer coding and other matters related to the Website and associated Services, are the sole property of BuyBackWorld, except where specifically indicated. As such, they are protected to the maximum extent permitted by copyright laws, trademark laws, other proprietary laws (including, but not limited to, intellectual property and trade secret laws) and international treaties. Any content displayed on the Website is protected by copyright law and international treaties as an original work, a compilation and a collective work. Any reproduction, modification, creation of derivative works from or distribution of the Website or the collective work and / or copying or in any way reproducing the Website or any portion thereof to any fixed medium for reproduction or redistribution is prohibited without the express written consent of BuyBackWorld. Without limiting any of the specific rights or prohibitions herein, you agree not to reproduce, duplicate, copy, sell or exploit for any commercial purpose the Services or Website or any aspect or portion thereof. Similarly, we do not claim to own any of the intellectual property of any of the goods or services posted by our users. They are the exclusive property of their respective owners, however, they are being used on this site in accordance with the nominative fair use exceptions to the copyright law (codified at 17 U.S.C. § 107) and trademark law (codified at 15 U.S.C. §1125) and relevant case law. Third-party Websites:The Website and / or Services may provide hyperlinks, banner advertisements, pop-ups and / or other online methods to redirect you to other third party Internet websites and / or resources. Because BuyBackWorld has no control over such websites and / or resources, you hereby acknowledge and agree that BuyBackWorld is not responsible for the availability of such third party websites and / or resources. Furthermore, BuyBackWorld does not endorse, and is not responsible or liable for, any content, advertising, services, products and / or other materials at or available through such third party websites or resources, or for any damages and / or losses incurred through such websites or other resources. Identification of the copyrighted work claimed to have been infringed or, in the case of multiple copyrighted works, a representative list of such works or of the trademark that is being allegedly infringed. Identification of the material that is claimed to be infringing or to be the subject of infringing activity and that is to be removed or access to which is to be disabled, and information reasonably sufficient to permit BuyBackWorld to locate the material. Information reasonably sufficient to permit BuyBackWorld to contact you, such as an address, telephone number and, if available, an e-mail address at which you may be contacted. A statement that you have a good faith belief that use of the material in the manner complained of is not authorized by the intellectual property’s owner, its agent or under applicable laws. We do not claim to own any of the intellectual property of any of the items on our Site. They are the exclusive property of their respective owners, however, they are being used on this site in accordance with the nominative fair use exceptions to the copyright law (codified at 17 U.S.C. § 107) and trademark law (codified at 15 U.S.C. §1125) and relevant case law. Indemnification:You agree to indemnify, defend and hold BuyBackWorld, its parents, subsidiaries and affiliates, and each of their respective officers, executives, employees, owners, and authorized agents (“Covered Parties”), harmless from any and all loss, liability, claims and / or demands (including reasonable attorneys' fees, costs and settlement amounts) made by any third party due to, or arising out of, your use of the Website, the Services and / or arising from your breach of this Agreement. WARRANTIES/LIMITATION OF LIABILITY: YOU EXPRESSLY AGREE THAT ACCESS AND / OR USE OF THE WEBSITE AND / OR SERVICES IS AT YOUR SOLE RISK. THE WEBSITE AND SERVICES ARE PROVIDED ON AN "AS IS" AND "AS AVAILABLE" BASIS, WITHOUT ANY EXPRESS OR IMPLIED WARRANTY OF ANY KIND INCLUDING, BUT NOT LIMITED TO, WARRANTIES OF MERCHANTABILITY, NON-INFRINGEMENT OF INTELLECTUAL PROPERTY OR FITNESS FOR A PARTICULAR PURPOSE. THE WEBSITE AND / OR SERVICES MAY CONTAIN BUGS, ERRORS, PROBLEMS OR OTHER LIMITATIONS. BUYBACKWORLD AND THE COVERED PARTIES HAVE NO LIABILITY WHATSOEVER FOR YOUR USE OF, OR INABILITY TO USE, THE WEBSITE AND / OR SERVICES. TO THE FULLEST EXTENT PERMITTED BY APPLICABLE LAW, BUYBACKWORLD AND THE COVERED PARTIES ARE NOT LIABLE TO YOU OR ANY THIRD PARTY FOR ANY INDIRECT, SPECIAL, INCIDENTAL OR CONSEQUENTIAL DAMAGES (INCLUDING DAMAGES FOR LOSS OF BUSINESS, LOSS OF PROFITS, LITIGATION, OR THE LIKE), WHETHER BASED ON BREACH OF CONTRACT, BREACH OF WARRANTY, TORT (INCLUDING NEGLIGENCE), PRODUCT LIABILITY OR OTHERWISE, EVEN IF ADVISED OF THE POSSIBILITY OF SUCH DAMAGES. THE NEGATION OF DAMAGES SET FORTH ABOVE IS A FUNDAMENTAL ELEMENT OF THE BASIS OF THE BARGAIN BETWEEN BUYBACKWORLD AND YOU. THE WEBSITE AND SERVICES WOULD NOT BE PROVIDED WITHOUT SUCH LIMITATIONS. NO ADVICE OR INFORMATION, WHETHER ORAL OR WRITTEN, OBTAINED BY YOU FROM BUYBACKWORLD THROUGH THE WEBSITE AND / OR SERVICES SHALL CREATE ANY WARRANTY, REPRESENTATION OR GUARANTEE NOT EXPRESSLY STATED IN THIS AGREEMENT. BUYBACKWORLD IS NOT RESPONSIBLE TO YOU AND / OR ANY THIRD PARTY, WITHOUT LIMITATION, FOR: 1) ANY ERROR, OMISSION, INTERRUPTION, DELETION, DEFECT, DELAY IN OPERATION OR TRANSMISSION, COMMUNICATIONS LINE FAILURE, THEFT OR DESTRUCTION OR UNAUTHORIZED ACCESS TO OR ALTERATION OF, USER AND / OR MEMBER COMMUNICATIONS; 2) ANY POTENTIALLY OFFENSIVE, INCORRECT OR INACCURATE CONTENT POSTED ON THE WEBSITE OR PROVIDED IN CONNECTION WITH THE SERVICES, WHETHER CAUSED BY BUYBACKWORLD, USERS OR BY ANY OF THE EQUIPMENT OR PROGRAMMING ASSOCIATED WITH, OR UTILIZED IN, THE SERVICES; 3) ANY COMPUTER VIRUS OR OTHER MALICIOUS, DESTRUCTIVE OR CORRUPTING CODE, AGENT, PROGRAM OR MACROS; OR 4) ANY INFRINGEMENT OF ANOTHER'S RIGHTS, INCLUDING INTELLECTUAL PROPERTY RIGHTS. Dispute Resolution/Governing Law:This Agreement shall be treated as though it were executed and performed in the State of New York and shall be governed by and construed in accordance with the laws of the State of New York (without regard to conflict of law principles). Should a dispute arise concerning the terms and conditions of this Agreement or the breach of same by either party hereto, the parties agree to submit their dispute for resolution by arbitration before the American Arbitration Association in New York City, in accordance with the then current Commercial Arbitration Rules of the American Arbitration Association. Any award rendered shall be final and conclusive to the parties and a judgment thereon may be entered in any court of competent jurisdiction. Nothing herein shall be construed to preclude any party from seeking injunctive relief in order to protect its rights pending an outcome in arbitration. Severability:Should any part of this Agreement be held invalid or unenforceable, that portion shall be construed consistent with applicable law and the remaining portions shall remain in full force and effect. To the extent that anything in or associated with, the Website or Services is in conflict or inconsistent with this Agreement, this Agreement shall take precedence. BuyBackWorld's failure to enforce any provision of this Agreement shall not be deemed a waiver of such provision nor of the right to enforce such provision. Force Majeure: We are not responsible for any loss, damages, costs, claims or expenses which you may incur as a result of our delay in or failure to perform our obligations where such delay or failure is due to causes beyond our control. Causes beyond our control include, but are not limited to: fire, flood, earthquake, accident, civil disturbances, war, rationing or embargoes, strikes, labor problems, delays in transportation, inability to secure necessary materials, delay or failure of performance of any supplier or subcontractor, acts of God and acts of Government. Legal Warning:Any attempt by any individual, whether a user or otherwise, to damage, destroy, tamper with, vandalize and / or otherwise interfere with the operation of the Website and / or Services, is a violation of criminal and civil law and BuyBackWorld will diligently pursue all remedies in this regard against any offending individual or entity to the fullest extent permissible by law and in equity. Modifications:This Agreement is subject to change at any time, with or without notice. All changes are effective upon their posting on the Website. You agree that it is your responsibility to bookmark this page and to check it frequently for updates to your Agreement with us. Every time you submit a Product for sale to BuyBackWorld, you reaffirm your acceptance of this Agreement as in effect at the time of such use. You are responsible for reviewing this Agreement each time you use the BuyBackWorld website. This agreement is and will be located at http://www.buybackworld.com/service-terms If you object to any of the terms and conditions in the Agreement, if you become dissatisfied with the Services or any subsequent modifications to the Agreement, your sole recourse is to immediately discontinue the use of the Services. The last date this Agreement was revised is set forth below. Terms and Conditions modifying this Agreement are effective immediately upon posting.